Are you looking for Cornell off-campus housing? Find affordable properties close to school and everything else College Town and Ithaca has to offer. Use our map feature to explore apartments near Cornell University and find the perfect pad for your next year of studies. Filter by the number of bedrooms, bathrooms, unit type & more. All listings are verified and a short distance from campus. Finding apartments at Cornell University has always been a chore. At Rent College Pads we are fixing that. All of our off-campus housing options have been verified and approved by our diligent team of campus managers. We even follow up with you and the landlord to make sure you have found your perfect house. Because there are so many options to consider before making a responsible renting decision, check out our Cornell University University apartment hunting guide below. Apartment leasing season at Cornell University is a crazy time. Students get started searching for their next apartments almost as soon as they move into their current ones, especially if the want to live anywhere in Collegetown on Dryden or College Ave. September is a very busy time for signing leases for the following July and August. Living around Cornell isn't cheap either, it made our list of 20 College Towns Where Rent Has Blown Up. Finding a couple of roommates to live with can save you hundreds and hundreds of dollars every month. Even places considered cheap will cost you over $500 per month. The Ithaca Renting Company provides students with a wide range of off-campus housing options both near the Cornell campus and Downtown Ithaca. Whether you want to live in Collegetown, Downtown, North Campus, or Cornell West, Travis Hyde has you covered. From studios to eight bedroom units, Travis Hyde offers a variety of options near campus with some noteworthy perks. Specializing in residential and student housing, Iacovelli Properties does it all; the company develops, owns, and manages each of their units. 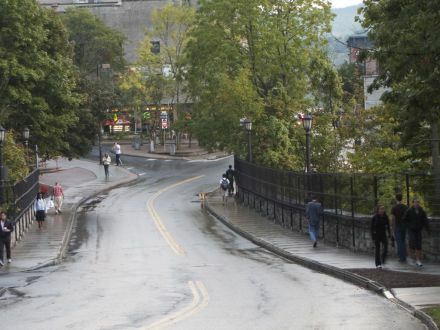 They have properties scattered all over Ithaca, both Downtown and near the University. West Shore Apartments, a family owned and operated business, began in 1967 when Bob and Linda Terry purchased a three-unit apartment building and rented out two units while they lived in one. The folks over at Collegetown Terrace have been bringing great off-campus living to Cornell University students for over 25 years! With a mix of houses and apartments for rent, any student is sure to find a place to suit their needs at Collegetown Terrace. 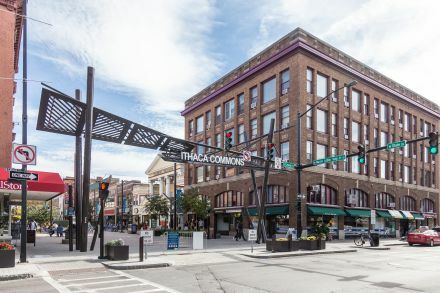 Urban Ithaca Real Estate develops, owns, and manages over 120 different units in Collegetown. From studio apartments to eleven bedroom homes, undergrads and graduate students can be sure to find something to fit their style. Located in the heart of Collegetown, Lambrou Real Estate is a family owned and operated business that has been around for over 50 years. More than 400 Cornell students live in their wide variety of apartments and rental houses. Cayuga Place Apartments is located in Downtown Ithaca just a block south of the Ithaca Commons. They pride themselves on being a green community, which is great for the Earth and your utility bills. The apartments at 312 College Avenue are located in the heart of Collegetown, just one block away from Cornell University. As one of Collegetown’s newest and most modern off-campus student housing community, 312 College offers furnished studio to three-bedroom apartments with a few added amenities. Ithaca is something of an isolated town, dominated by the Cornell campus and nearby Ithaca College. Most social activity takes place in Collegetown or the Commons. 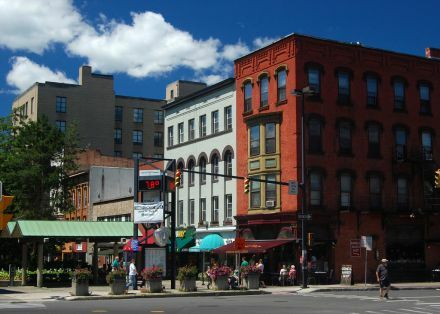 Collegetown is about a 10-minute walk southwest of campus and the Ithaca Commons are a two-block strip in downtown Ithaca with shops, restaurants and bars. Cornell is a university at which you can take full advantage of the college experience. 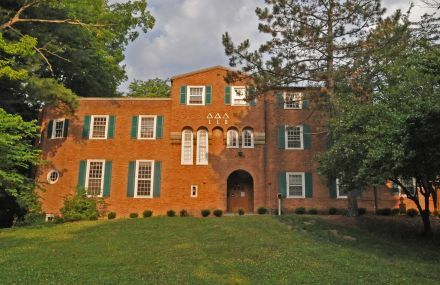 If you're into the Greek life, there are plenty of sororities or fraternities you can pledge. But there are plenty of other college staples which you can take part in. Go to football games - it may not be the grand experience like it is at Alabama or Michigan, but it's still worthwhile. And if football isn't your thing, then definitely get to a hockey game. Cornell hockey is something else. Slope Day. There's no better way to celebrate the last day of classes. 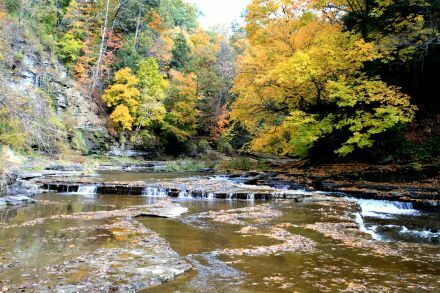 The Cascadilla Creek generated waterpower giving rise to the early development of the College Town Neighborhood in Ithaca’s early history. In 1827 Otis Eddy built a cotton mill in the college town neighborhood where now a street holds his name. Cornell Universities first building, the Cascadilla Place, was built in 1868 where Otis Eddy’s cotton mill was. With the University growing College Town became the place to live for students and businesses soon sprang up to serve the students. College Town became even more popular in 1893 with the building of the new electric trolley service. College students were notorious for lighting their rooms with kerosene lamps causing many fires in the wood homes. To address the issue, college town built a firehouse in 1905 and replaced the wood homes with brick buildings in the early 1910’s. Much of the Northside in the 19th century was marsh with developed areas that were a part of the port. The port was very industrial with warehouses and rail yards. After the Civil War the marsh was gradually drained for more industrial development. The first houses of Ithaca were built on the marshy Cascadilla Creek at the Port of Ithaca where Cascadilla street now stands. As the marsh drained and business at the port grew, the Northside became more residential in the 20th century with very little oversight and planning. The Ithaca Housing Association was founded in 1965 and began redeveloping the area in 1972. The Northside became home to many south Asians in the 1970’s as the Northside grew. Now Meadow Street is the primary location for business on the Northside and single-family homes make up the rest of the area. Downtown Ithaca currently lies within the fork of west Seneca street to the north and west Green Street to the south. Downtown is contained to the west by Geneva Street. Downtown Ithaca is also bounded by Six Mile Creek to the south and east. The downtown city center was always abundant with entertainment venues like opera houses and shopping department stores. In the 1950’s the car culture expanded resident’s mobility away from the city center to entertain themselves and shop in other neighborhoods in Ithaca. In 1963 the Urban Renewal Agency was formed to revitalize downtown. However, the agency began its inception with tearing down Ithaca’s landmarks without bringing in new developments quick enough for Ithaca’s residents. Then four year later in 1967 the Urban Renewal Agency brought in Woolworth’s department store and the Tompkins County Public Library to revitalize Ithaca’s city center. The Cornell Heights neighborhood borders Cornell University to the west. Cornell Heights was originally developed as a park for faculty members of Cornell University to live in. The neighborhood earned a place on the National Register for historic places in 1989. The most notably known resident, Carl Sagan, had a 1926 Egyptian Revival home half way down the Fall Creek Gorge. The Cornell Heights neighborhood now is home to all residents of Ithaca with the demand for housing as Cornell Universities enrollment grew. The Fall Creek neighborhood was originally Fall Creek Village when it appeared on Ithaca’s map in 1836. Fall Creek was primarily swamp woods with foundries and mills lined along Yates street. The neighborhood population rapidly grew in the 30’s and 40’s with the rise of small service orientated businesses. Now Fall Creek is primarily all residential with a good mix of large homes split into apartments for collegiate renters and smaller single-family homes for first time homeowners. Fall Creek’s first schoolhouse was built in the 1860’s to accommodate the growing residential population. The neighborhood built the larger Fall Creek Elementary in 1879 and rebuilt the school in 1966 to keep up with the technology of the time.